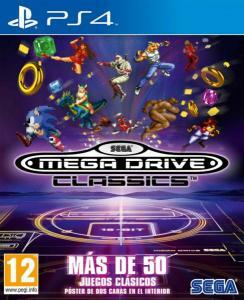 - El juego SEGA MegaDrive Classics para PS4. - Póster a dos caras. 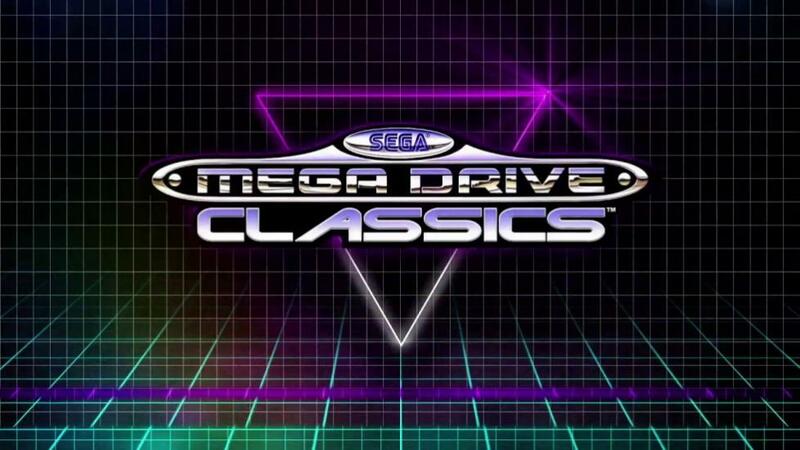 La colección de SEGA en Mega Drive y Genesis Classics llega a una nueva generación de consolas y de jugadores. Más de 50 títulos que abarcan todos los géneros, desde clásicos como el Sonic y Streets of Rage 2 hasta grandes RPG’s como Phantasy Star series; arcade , shooters o puzles. - Guarda la partida en cualquier momento. - Rebobina cuando tengas algún contratiempo. - La mayor colección de clásicos retros en un solo pack. - Incluye póster de doble cara: Streets of Ragey Golden Axe. Alex Kidd in the Enchanted Castle • Alien Soldier • Alien Storm • Altered Beast • Beyond Oasis Bio-Hazard Battle • Bonanza Bros.• Columns • Columns III: Revenge of Columns • Comix Zone Crack Down • Decap Attack • Dr. Robotnik’s Mean Bean Machine • Dynamite Headdy ESWAT: City Under Siege • Fatal Labyrinth • Flicky • Gain Ground • Galaxy Force II • Golden Axe Golden Axe II • Golden Axe III • Gunstar Heroes • Kid Chameleon • Landstalker • Light Crusader Phantasy Star II • Phantasy Star III: Generations of Doom • Phantasy Star IV: The End of the Millennium • Ristar • Shadow Dancer: The Secret of Shinobi • Shining Force • Shining Force II Shining in the Darkness • Shinobi III: Return of the Ninja Master • Sonic 3D Blast • Sonic Spinball Sonic the Hedgehog • Sonic the Hedgehog 2 • Space Harrier II • Streets of Rage • Streets of Rage 2 Streets of Rage 3 • Super Thunder Blade • Sword of Vermilion • The Revenge of Shinobi Toe Jam & Earlin Panicon Funkotron • Toe Jam & Earl • Vectorman • Vectorman 2 • Virtua Fighter 2 Wonder Boy III: Monster Lair • Wonder Boy in Monster World.